By HeatherLynn on January 30th, 2012 . Filed under: Cupcake Ideas, Stationary, Valentines Day . Looking for a different kind of Valentine’s day card to give you cupcake lovin’ loved one? Then I have got one of the most unique Valentine’s day cards I have ever seen. 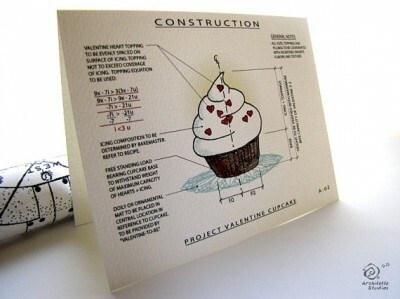 This card show the very creative construction of a Valentine’s Day Cupcake!